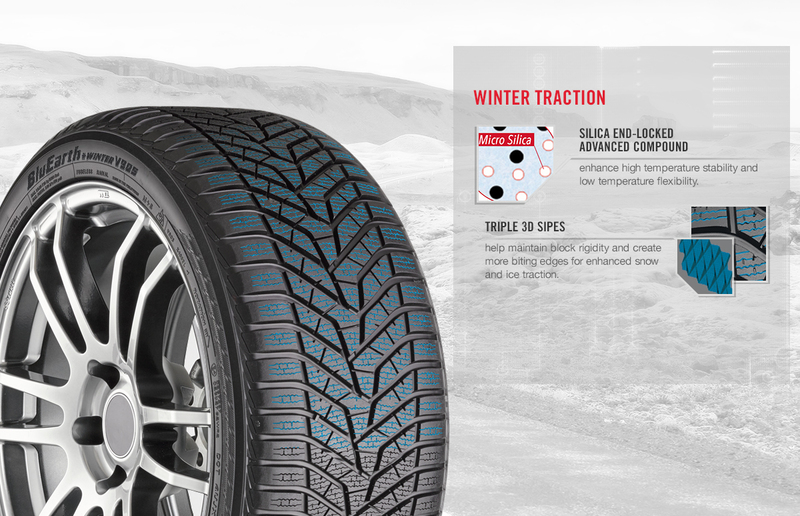 BUILT TO HANDLE WHATEVER WINTER BRINGS. ‘Tis the season for cold. 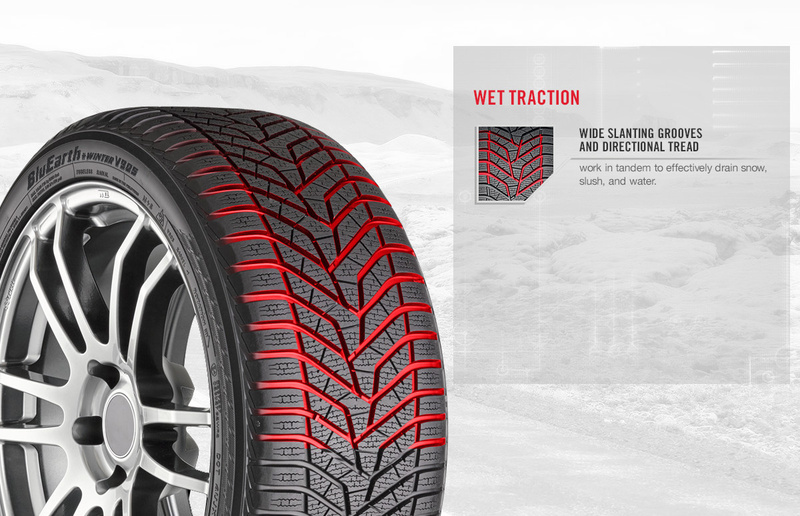 Luckily, I deliver strong winter tire grip for performance cars and SUVs. Let it snow. Let it snow. Let it snow. 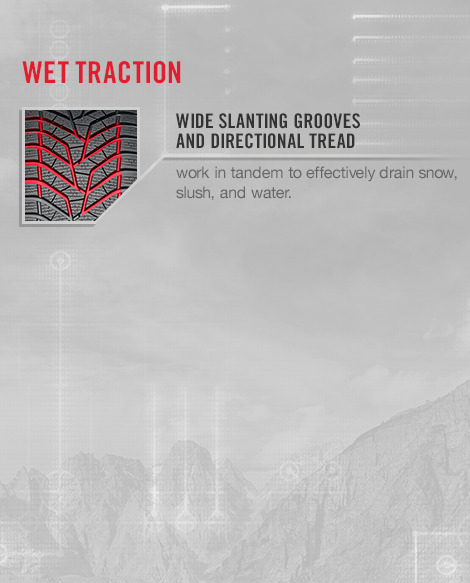 Wide slanting grooves and a directional tread pattern provide excellent drainage to combat hydroplaning. 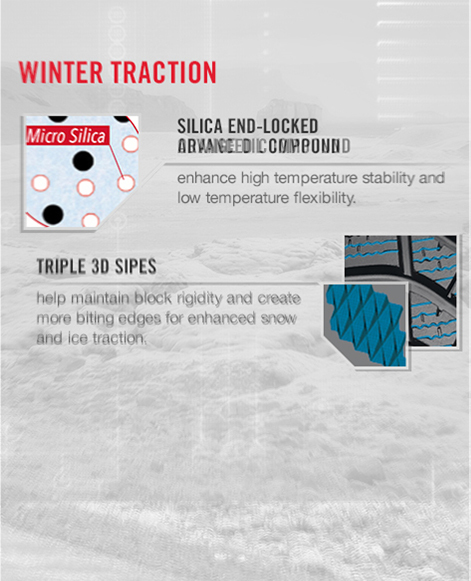 Triple 3D sipes create more biting edges for better performance on slick surfaces.